Today marks a big day on our sabbatical journey – the day when the countdown becomes hourly versus daily. Yesterday, we were 4 days away. Today, it’s 72 hours. It’s hard to believe – we’ve come so far and planned so much, but there’s still much to do and it’s also a surreal time. 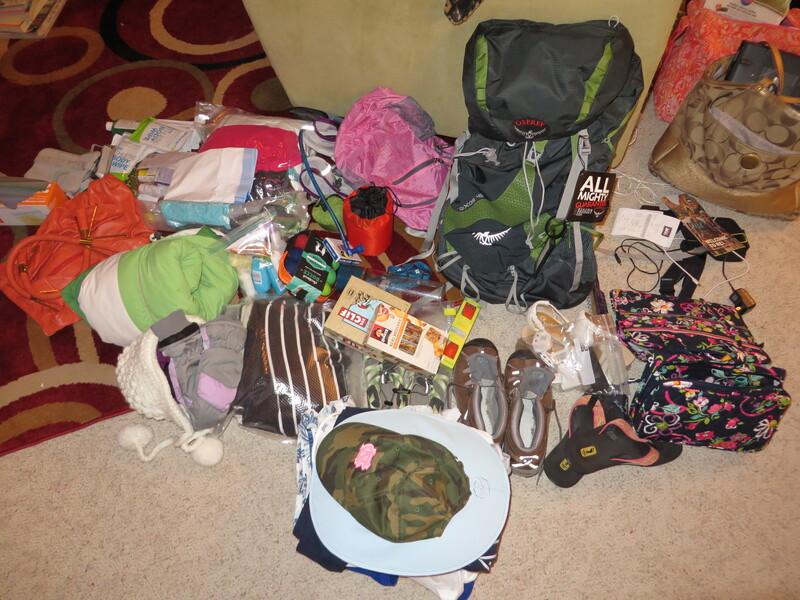 I can’t comprehend the fact that we’ll be scaling a mountain in a week. As I’m watching Brad trying to fit huge hiking boots in to a tiny space in his bag, I can’t comprehend how we will ever finish packing. How will I send my last email and turn off my computer for a full month? So many questions. 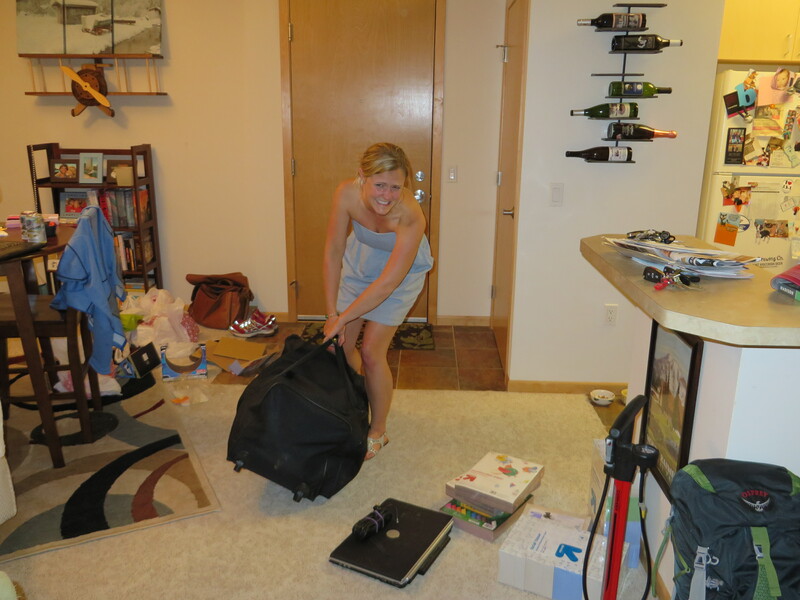 Sidenote – see my packing pile disaster evidence in the pictures? That’s my life for the next month. Since our last post, we’ve come a long way! Finished all hotel bookings, got Heptatis A and polio vaccines, took a very weird “live” typhoid vaccine for 8 days, and continued our training. Malaria meds start Saturday, and altitude meds start on Monday. We have so many meds in our bags that we probably look very sketchy…luckily, I doubt many people are in the black market for the weird malaria and asthma meds we have. In other news, “Madeleine the cat” went to the vet to prepare for her month-long vacation at Auntie Jenny’s house. She left with a large bill, a directive to lose a pound in the next month (Apparently she’s overweight…which surprises no one. Especially my dad, I’m sure! ), and an order to come back and get a tooth pulled. More to come on her adventures. However, at least she’s allowed back to the vet for her tooth situation given that she scratched the vet across the face and made her bleed during her shots. The vet politely told me she was “a spicy and sassy cat”. Sigh. In more news, we have WONDERFUL coworkers who I have to give a big shout out to. Brad, our best friend Nick, and I are doing the climb and safari together. At the end, we are visiting Amani Children’s Home, which is a fabulous Tanzanian school for children that Nick’s mom introduced us to. Many of these children have suffered the unimaginable. 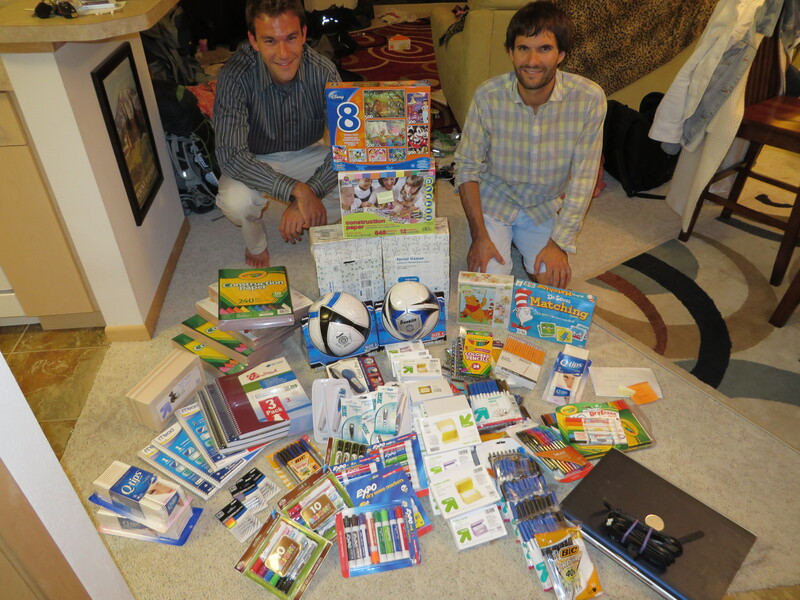 We told our coworkers about this school and the great work they do, and they banded together to buy SO MANY great things for us to take to the kids! See the loot below – can you believe it? Over 50 pounds so far – Brad is currently trying to fit it in a duffle bag and really struggling. I can’t even pick up the bag! I am in awe and cannot wait to share these things with the kids. Have a great trip, glad you liked my Kili post!